Erich von Daniken is largely credited for the ancient astronauts theory. He made his rather rambling, but not entirely meritless, case in a series of three books. Chariots of the Gods was the first, and most successful, of von Daniken's series. The book was made into a film and, although successful, it varies somewhat from the book and fails to convincingly present a cogent case. 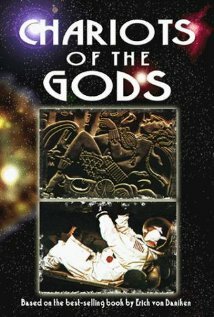 It is thought-provoking (though dated), and worth a watch for those interested in the ancient astronauts theory. Erich von Daniken's Chariots of the Gods movie was released in 1970.